What a beautiful and unique girl! Kitty has such impressive markings. 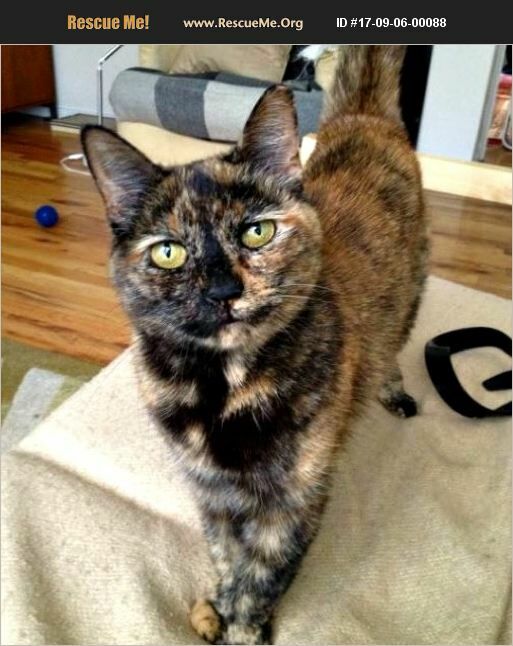 She is a female tortoiseshell (tortie) cat with big green eyes and such a sweet personality. She is a very sociable cat and is good with children and dogs. She loves to spend time with her humans, and is playful and affectionate. Kitty's owner had to leave the country for work and could not take her with him. She is currently in foster care waiting for her forever home. Very clean and well behaved. Supplies and vet records will be included.